Do you want to waste your precious money by buying unhelpful books? Since there are literally dozens and dozens of books, it is hard to determine which are the best TOEFL books in the market. 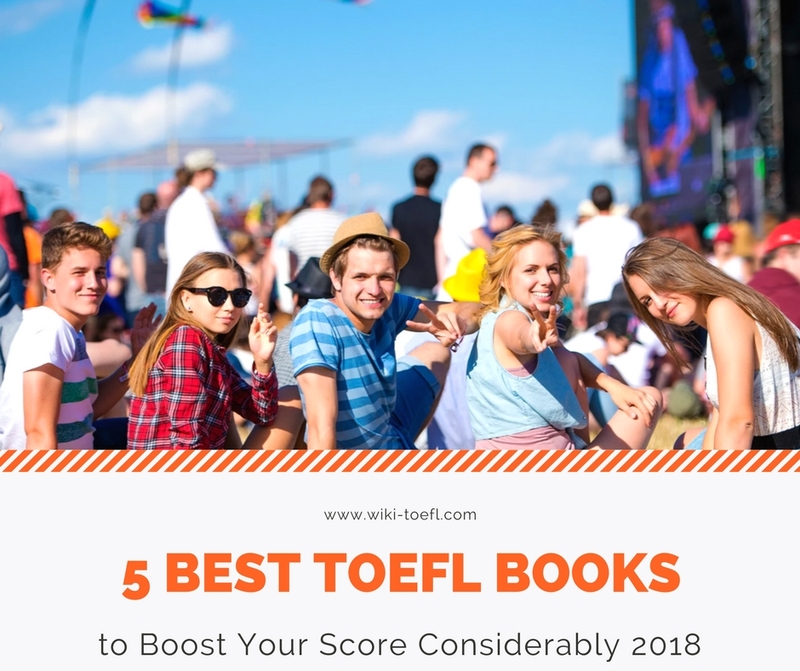 To help you choose the best TOEFL books, I will recommend some to boost your scores significantly. These books have helpful instructions for each section of the test and also includes TOEFL practice tests so you can be ready for the actual test. I have broken down this article into two types of books: books for test preparation and books for TOEFL practice tests. I hope that you will find each breakdown to be helpful as you prepare for this test. These books are excellent at teaching different strategies to solve different types of questions. They will explain in-depth of how to solve the questions effectively to guarantee a good TOEFL score. However, their TOEFL practice tests are either too difficult or too easy compared to the actual test. These books provide excellent TOEFL practice tests that accurately portray the actual difficulty of the test. The practice books that I will be recommending contains only the authentic practice tests that were previously used as actual tests. However, these books contain little to no explanation on how to solve different types of questions. I recommend buying at least one strategy book and one practice test book. If you have more money to spend, I recommend buying more practice test books rather than buying more test preparation books so you can solve more authentic practice questions and boost your score. If you buy at least one test preparation book and one practice test book, you will learn strategies from the strategy book and practice your strategies on authentic practice questions. This are the recommended TOEFL books to help in your test preparation. As I stated earlier, you should buy at least one test preparation book and one TOEFL practice test books to get a good score. The 150-page strategy guide is very comprehensive. It contains many practice materials to solidify your test-taking skills. The audio CDs contains every recording for listening practice questions. The CD-ROM contains eight practice tests which simulates the actual test taking conditions. At the back of the book, there are comprehensive explanations for each question on the model tests. This 150-page explanation is very detailed, and you will recognize your weaknesses and strengthen them by using this book. The cost of this book is inexpensive compared to other TOEFL preparation books. Barron’s book is one of the best TOEFL books for test preparation. To help you to determine if Barron’s book is right for you, I will breakdown each section of this book. This book begins with frequently asked questions about the test, general test-taking tips and advice, how to use this book, and study habits to prepare for TOEFL. These are very informative for new test takers to know what to expect on the test day which will make them confident on the actual test. This book does a wonderful job of listing every possible type of questions in each section and checklists that you should follow for each type of questions. For example, the reading section has fourteen possible types of questions such as interference, classification, and insert; the listening section has ten possible types of questions such as purpose, main idea, and connection; the speaking section has six different types of questions such as experiences, preferences, and examples; the writing section has two different types of questions which are synthesis of opposing ideas in integrated essay question and opinion in independent essay. Not only does the book list every single possible types of questions that could appear on the test, the book gives specific detailed checklists for each possible type of questions. For example, there are about twelve items on checklists for each types of questions. Also, the book lists the point value and the frequency that a certain type of question appears on the TOEFL test. After the strategy guide, the book enforces those strategies and checklist through many practice problems. The detailed explanation at the back is really helpful because you will know which types of questions are your weaknesses and focus on those weaknesses to strengthen them. After Barron’s book has gone over specific strategies for specific sections, it has a section called Academic skills that apply to all four sections. Campus vocabulary is a list of approximately 200 academic vocabularies that are frequently used in TOEFL. It includes the word’s definitions, example sentences, and the grammatical use in the sentence. There is also an interactive program which includes all the campus vocabulary in this book. If you are interested in this free program, visit this site. The Barron’s book has excellent guides about taking notes and exercises to practice this skill. These excellent strategies teach students to properly take notes such as dividing the paper into columns, separating content into major and minor points, noticing key words and phrases, and using abbreviations and symbols for faster note-taking. Also, the comprehensive lists of keywords, key phrases, abbreviations, and symbols are very helpful. Paraphrasing is rewriting the idea into your own words. This skill is important in all four sections because those sections contain questions about paraphrasing. Skills such as substituting synonyms, using different grammatical structures, and using key phrases help you to improve your paraphrasing skills greatly. After the guide, it has many practice questions to reinforce this skill. Summarizing is using your own words to shorten an idea into few words. Summarizing is like paraphrasing but using fewer words than paraphrasing. Barron’s book teaches many summarizing skills such as condensing the ideas, combining sentences using clauses of addition, result, contrast, and reversal and identifying the main points. After the guide, it contains questions to strengthen your skills. Synthesizing is combining two ideas into one which is important for integrated speaking and writing tasks. This book gives useful advice on synthesizing such as recognizing keywords and phrases that denote relationships and step-by-step guide to reading and writing synthesis tasks. Barron’s book contains 7 practice tests and 1 extra test on the CD-ROM which is a total of 8 practice tests. The CD-ROM simulates the all 8 practice tests accurately like the actual tests. Also, in the back, there are two audio CDs for skill-building exercises for each sections. The test questions in the Barron’s book does not accurately reflect the difficulty of the real TOEFL test. Barron’s questions are little harder than the real TOEFL test which could be beneficial because the actual test will seem easier than the questions in Barron’s. So, do not be discouraged if you miss more questions than you normally would. For books that contain questions with same difficulty as the actual tests, keep on reading! One aspect that I absolutely adore in the Barron’s Test is the detailed answer explanations of every question in every practice test. The explanation section itself is over 150 pages long! This section contains very detailed explanation of the reason behind each answer. For example, it will state that a certain answer is right because of this specific phrase. Also, it contains sample answers and checklists for every speaking and writing section so you can check your answer. The detailed explanation will help students to recognize their weakness and to strengthen their weakness through constant practice. The Barron’s book is extremely helpful because of the thorough strategy guides for each section and the detailed explanation on the back. Although Barron’s book has its flaw of not reflecting the actual difficulty of the test, you will be much more prepared for the actual tests. Barron’s book should be your first-choice strategy guide because of its thoroughness and its low cost. This book costs around 25 dollars on Amazon which is very cheap compared to other strategy books on the market. Cambridge University Press is the leading publisher on TOEFL preparation books. This book is the best preparation book on the market (Barron’s close second) because it thoroughly reviews all four sections. It contains many practice skills found in Barron’s and even more. This book is especially excellent for students who struggle in the writing section. It covers the not only the basics such as developing full paragraph essay and recognizing the main points but also the specifics such as including the specific examples from the text. There are seven online tests included in this book. The practice tests are the most accurate representation of the test format, not the difficulty of the test. In listening sections, other programs start the clock whenever you start to listen, but on the actual test and in Cambridge, the clock starts running when you started to answer the questions. The Cambridge online tests are the most accurate representation of the test format of the TOEFL and also give your score after each practice tests. Although the test format itself is the most accurate, the test difficulty and the practice materials are harder than the actual test just like Barron’s. So, don’t be harsh on yourself whenever you have scored lower than your average score. The detrimental flaw of this book is the high cost. There are two versions of this book: book without audio CDs and book with audio CDs. The book without audio CDs costs around 50 dollars, and the book with CDs costs around 80 dollars. Without the audio CDs, you won’t be able to use half of the skill-building exercises, so the audio CDs are essential to buy. Compared to the cost of Barron’s book which comes with audio CDs, it is extremely expensive. This book is for students who are aiming to receive 100+ on your TOEFL. If you are not aiming for above 100, then don’t waste money buying this expensive book. Also, if you don’t want to spend much money on practice books, the Barron’s book is an excellent substitute of this book for students who are aiming above 100. However, if you do have the money and willing to spend it, this book is an excellent choice. The only books that I recommend for TOEFL practice tests are the books from ETS, the company that administers the actual tests. Other companies produce many practice tests, but they are poorly-made, too-easy, or too-difficult. Also, some of those tests have critical errors such as two possible answers to a question. The most authentic practice materials are from ETS which makes the tests and therefore have zero errors. ETS currently offers 13 official tests that were previously administered available for students to purchase. I recommend only these books that contains authentic questions for practice tests. This book contains five TOEFL practice tests that were previously administered. This book also contains an interactive CD-ROM which is very similar to the real internet test. This is highly recommended for you to get a high score. Also, the price is relatively inexpensive compared to other books. This book also contains five latest TOEFL practice tests that ETS administered. Like the Volume 1 of the iBT Tests, this book also comes with an interactive CD-ROM which is similar to the real test. Each of these books contains five complete past TOEFL exams. The TOEFL iBT books are the best to use for practice TOEFLs because they are written by the same people who make the TOEFL and the practice tests included are all retired real TOEFL exams. Like the Official Guide to the TOEFL Test, this means that you can be sure that the practice tests will be very similar in format, style, and content to the actual TOEFL which some unofficial practice tests don’t always succeed in. Each TOEFL iBT book includes a DVD-ROM so you can take the practice tests either on paper or on the computer. This means you can take practice tests in the same format you’ll take the real TOEFL in. In addition to high-quality practice tests, these TOEFL preparation books also include in-depth answer explanations so you can understand why a particular answer is correct. The only prep books with official practice tests (other than the Official Guide to the TOEFL). Option to take the tests either with paper and pencil or on the computer. Clear, easy to understand explanations. The computer versions of the test have a format very similar to the actual iBT TOEFL, so you can get used to how the test will look before exam day. These books primarily focus on practice tests and answers and don’t include a lot of strategies or tips for answering questions. If you’re looking for this information, you’ll likely have to purchase another book in addition to these. No sample responses for the Writing or Speaking sections are included. This book contains three authentic practice tests that were previously administered. Although it has strategies in the beginning, this guide is extremely inferior to the strategy guides in Barron’s or Cambridge. However, it contains interactive CD-ROM to help you familiarize yourself with the real test-taking conditions. These three books have a total of 13 different authentic tests that were administered previously. 13 tests will be enough to practice the strategies that you have learned using the strategy books. As I have noted earlier, these books for practice tests contains little or no strategies but is useful for authentic practice tests only. For strategy guides, use Barron’s or Cambridge book. In another article, I have compiled a list of six free materials for the TOEFL, and you can find it here.